In a hurry? click this box for a complete selection of beach bathroom items on Amazon. 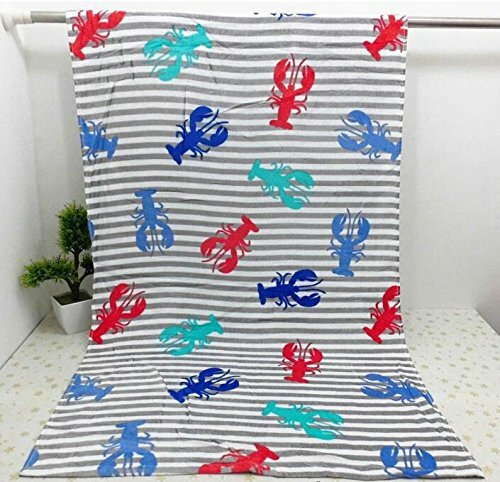 Beach scene shower curtains are fun year round. 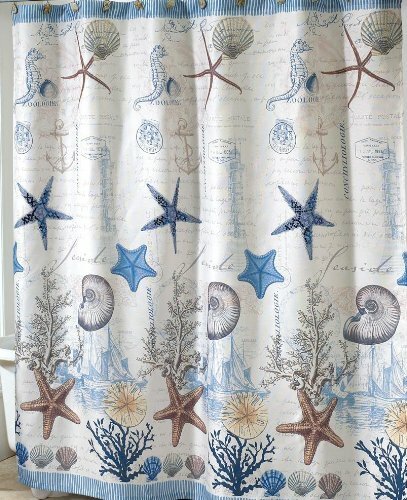 Your beach bathroom will feel “beachy” just as soon as you get your shower curtain hung, so do that first. 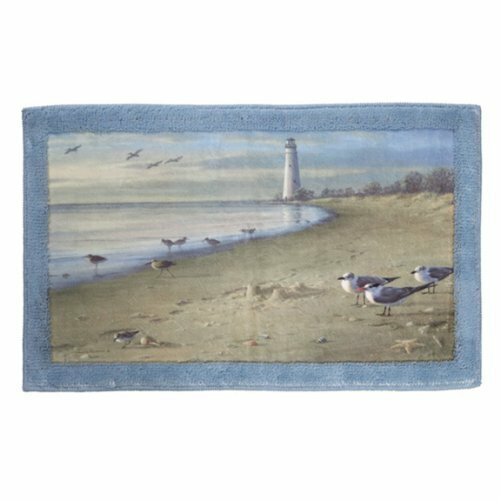 You can add tons of beach accessories to complete your coastal look. 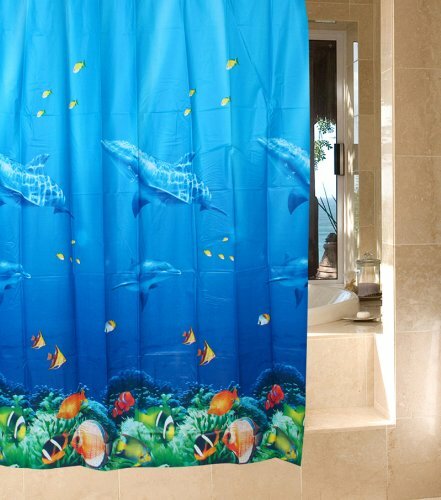 Choose a beach shower curtain that makes you smile or sigh with sweet memories. Your bathroom should be beautifully relaxing as well as practical. 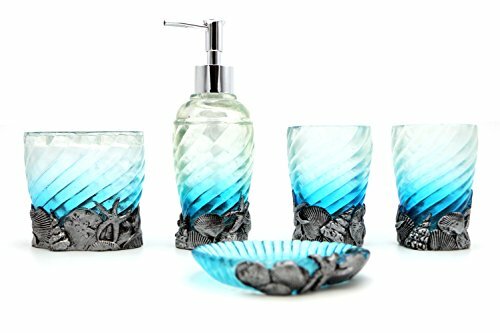 Beach bathroom accessories are fun to purchase even when you are not at the beach. When you do go to the beach, find some seashells and put them in a pretty container in your bathroom. Seashells are fun to collect, and they look so pretty on display. You can use all those seashells to frame a mirror – a seashell mirror is great do-it-yourself project and produces gorgeous results. There are so many bathroom decorating ideas right on the beach. Use your imagination and be creative. Do you also look for sand dollars? Be sure you do not remove the live sand dollars from the beach, but gathering the empty shells is a fun hobby. 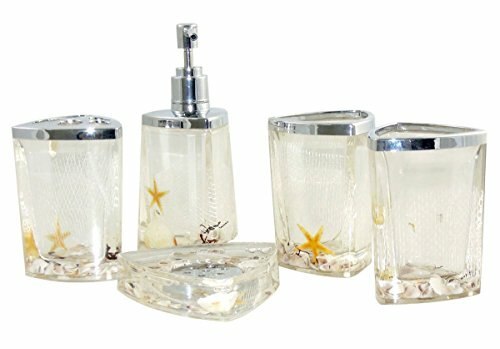 Shark’s teeth are harder to find, but an assortment of shark’s teeth in a clear jar with a lid will fascinate your guests — and add a touch of “the real thing” to your beach bathroom decor. What about those who have never seen the ocean, walked in the sand barefooted, heard the waves hitting the coast? Never built a sandcastle, or wiggled their toes in the sand? watched a sunrise or sunset over the ocean? seen porpoises jumping off shore? or fished the waters? Or put on dark glasses and plenty of sunscreen and stretched out for a warm nap to the music of the waves splashing? 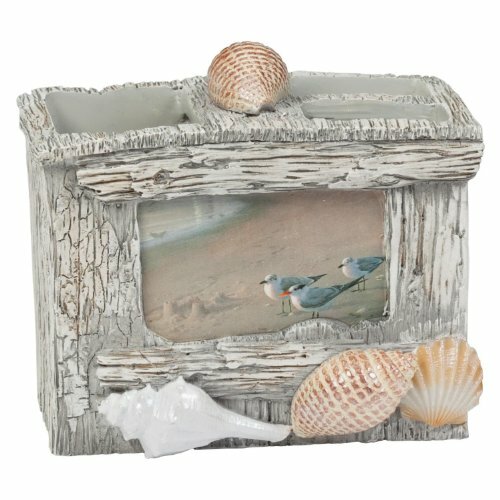 If you have not ever visited the beach, then make your beach bathroom decor as real as possible, using items you find here and photographs of your friends and family who are beachcombers. 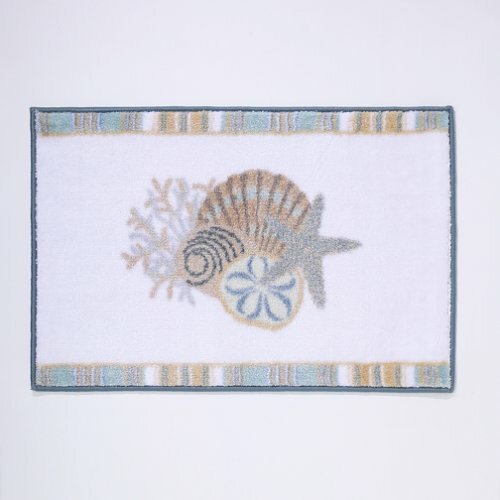 Beach themed bath towels are so pretty and add so much to your beach themed bathroom decor. 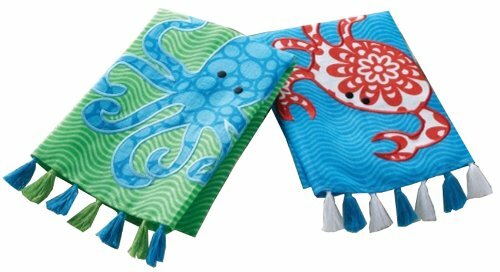 The children will enjoy learning about the creatures of the sea, too. Children’s beach towels are the perfect size for wrapping up a slippery wet toddler. 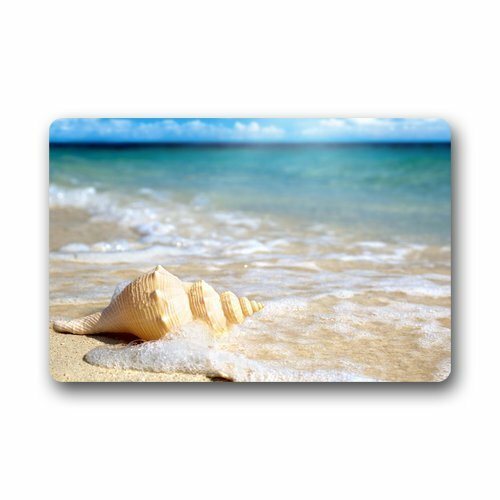 Your beach bathmat will make it easy to imagine sticking your toes into the ocean on a bright sunny morning! 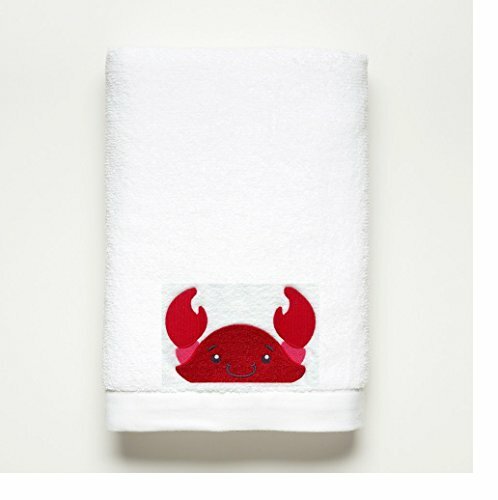 Your bathmat can easily be one of your decorative bathroom accessories. 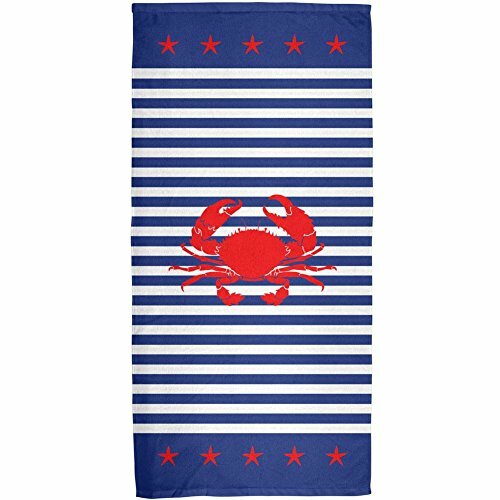 Beach Decor on a Strict Budget? Use colorful plastic sand pails for toothpaste and toothbrushes. Use inexpensive flipflops for wall decor. 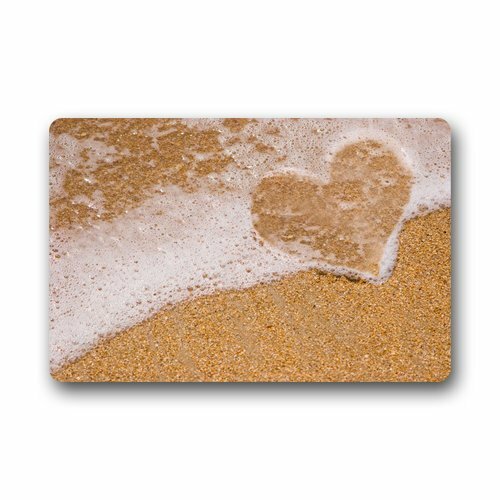 Take photos of the beach and frame them in inexpensive frames. 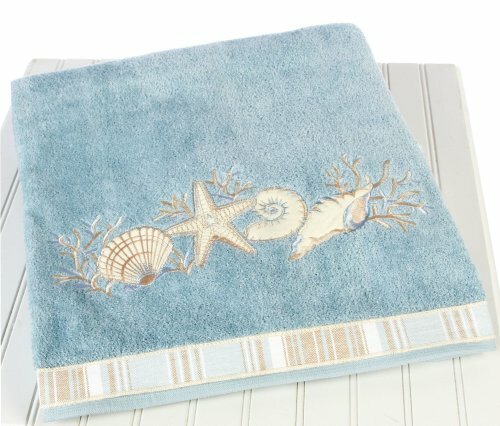 Purchase towels and bathmats the color of the ocean and sand. Bring home shells from the beach or ask your friends to bring shells to you. You can have a pretty beach themed bathroom inexpensively. 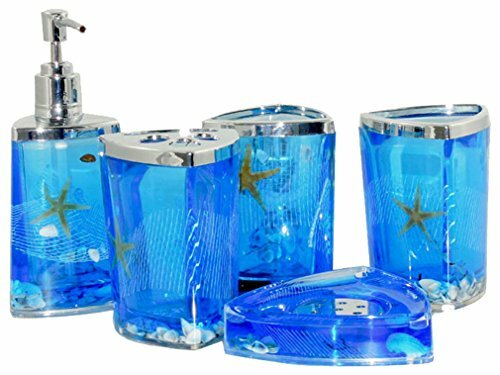 Beach themed bathrooms are one of the most popular of all the bathroom decorating themes. There are so many ways to make it uniquely yours. Have fun with your decor. Express yourself. Whatever you do with your decor, have fun with the process! You can even add some flipflop bathroom accessories for a bit of humor. Beach bathroom decor should be fun – from start to finish and for a long time after it is exactly the way you want it. Listen to this video and get yourself in a great beach mood today! Sing along!